Dare you put your bare feet on the ground? ‘ve often looked at shipping and handling charge as what it costs to ship the item but have come to find out there’s much more to shipping and handling than just the cost of shipping. There are many models in which a business can handle shipping and handling costs and each has their own unique flavor: marketing, incentives, ,simply making more money at your expense, or combinations of various strategies to ultimately turn a profit. 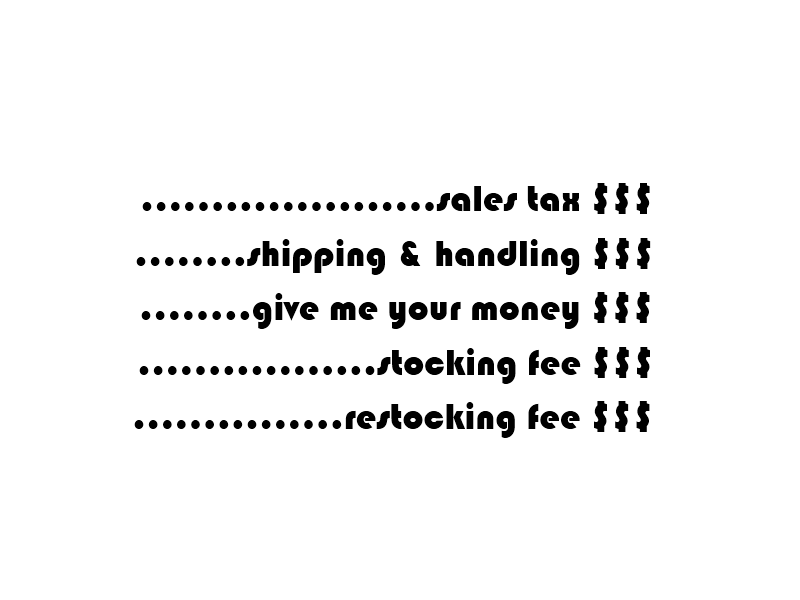 Generally, if I’m ordering and item that will include shipping and handling I go for the cheapest option because I’ve been following the law of tradition that I shouldn’t spend any more money than I have to unless it’s absolutely necessary. More recently I’ve noticed pricing online where the majority of the cost is in the shipping and handling of an item. I’ve seen items that cost fifty cents but have seven dollars in s&h. There are no standards I’ve seen in the way s&h is calculated from site to site. Of course, there are similarities across the board but I never quite know what to expect when ponying up for an item before it hits the shopping cart to see the true price it’ll cost me. Think less about what an item costs and more about what it is worth to you in your overall budgetary diet. Don’t be alarmed when an item has s&h charges that were more than you expected, but instead simply understand that the business has chosen a certain way to charge them to maximize profits…well a profitable business anyway. It wouldn’t surprise me if there are some that simply have no understanding of it. Shopping locally can potentially be another excellent way to defy this law of tradition. Based on prices I see of items in a local shop vs. elsewhere (online, another country, etc.) it’ll save you some dough if you purchase it locally. Does every one have your best interest in mind? That when it comes to your livelihood, others have your best interest in mind. Naturally, we all have our best interest in mind. Sometimes these interests overlap with others interests and form a relationship. Other times, they are polar opposites. It is ultimately a matter of personal interest and intelligence. In many societies it’s difficult to have the interests of others in mind due to the way the people interact with each other. In the US, for example, we associate nearly everything to money now’a’days. When the country’s well-being is looked at it’s based on money distribution: jobs, national spending, national debt, etc. It’s generally acceptable to think when you want to take care of your own well-being you ensure you have enough money to do so. Also generally acceptable; if you don’t have enough money then your state of well-being is in jeopardy. Keep your best interests in mind all the time and define yourself by them. It is in your best interest to keep all of your surroundings in mind and support them. By supporting them, they are supporting you. This cycle is incredibly important to the well-being of everyone and if the circle is broken the domino-effect of decline begins across all things. This is present in a lot of popular sayings, often said without consideration for well-being: “What goes up must come down”, “What goes around comes around”, “those are the breaks”, “you reap what you sow” – all sayings about this cycle and its affect. 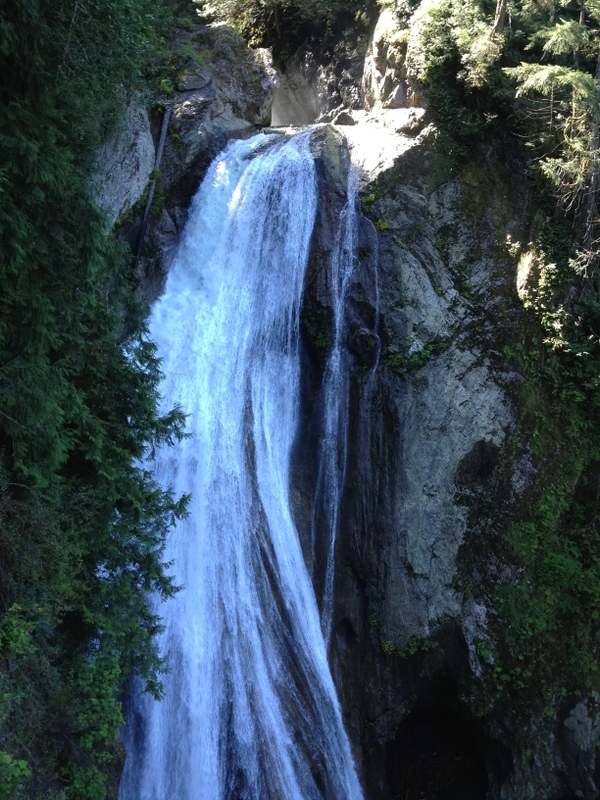 If I were to stop this waterfall up top then everything downstream would stop benefiting from it, and thus I will stop benefiting from things downstream. It’s in my best interest not to stop up this flow of water. Since resources are generally only available with money, and clearly there are those that are blocking it’s flow as well, don’t be a blocker to defy this law of tradition. Posted on July 18, 2012 October 6, 2012 Categories IntentLeave a comment on Does every one have your best interest in mind? 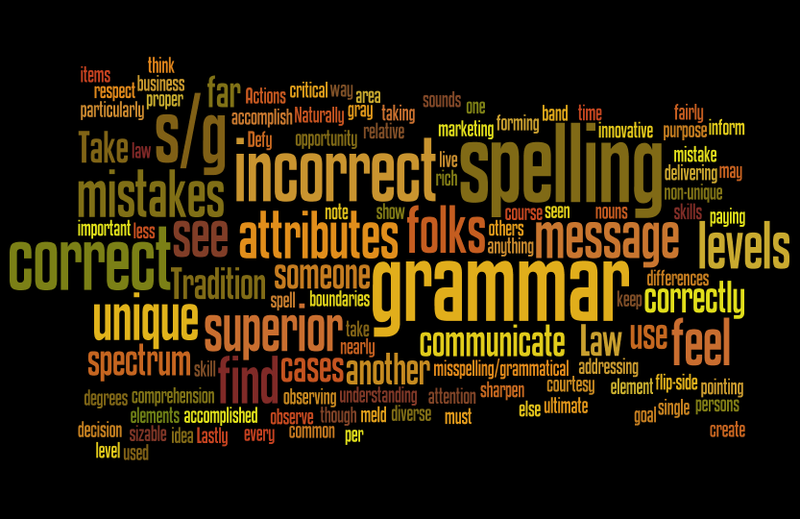 There is a correct and incorrect way to accomplish spelling and grammar. I see the boundaries of correct and incorrect being fairly far from each other forming a sizable gray area in which I live. The ultimate purpose is to communicate an idea to someone else and if this is accomplished you have used spelling and grammar correctly. Where I’ve seen folks take this law too far is taking time to inform someone of every spelling and grammar mistake you find. Naturally, there are degrees of understanding and comprehension to spelling and grammar and each of us has a unique level of those attributes. I find mistakes in folks use of s/g that have less of those attributes and folks that have more of those attributes find mistakes in my use of s/g. With all those unique levels we create a spectrum that is diverse and rich. Is the goal of pointing out differences between the levels to meld us all into one single non-unique s&g band? That doesn’t sounds nearly as innovative as having a unique spectrum. On the flip-side there are items which I think are a common courtesy to spell correctly such as proper nouns which show respect and that you’re paying attention to whom you are addressing, not particularly the message that you’re delivering. Lastly, there are cases where, of course, it is a business critical element to have the most correct or incorrect s/g to communicate the message. In those cases though it is more of a marketing decision than anything. Take note of misspelling/grammatical mistakes if you must but if those elements aren’t important to the message per say then keep them to yourself. I feel superior, you feel superior, we all feel superior. Take the opportunity to sharpen your skills as you observe the skill levels of others. Actions (s/g), can be relative, so what you see as correct another may see as incorrect and visa versa.